Meltdowns may be a fact of life with small children, but the Terrible Two’s are not a life sentence. Knowing what our little ones are trying to communicate goes a long way in managing meltdowns. When they are crying or throwing themselves on the floor in an epic tantrum, they are indeed communicating. When they are little, this is normal for their developmental age. They may be telling us they are hungry, tired, bored, overstimulated or a variety of other legitimate needs. They may also need to vent some overwhelming emotions. Current neuroscience tells us that when any of us are flooded by emotion, we are incapable of logical reasoning. Have you ever had your spouse try to fix your ‘problem’ before you had a chance to share your feelings about it? Kids feel the same way yet their brains are far less developed than ours, particularly in regards to emotion regulation. Regardless of the reasons for the outburst, children need a few things from us before they are ready to ‘move on’. The first is to allow the child time to vent safely. Some like to be held or simply to know that we are there for them if they choose. We can clear the physical space of hard objects or ask other children to give the upset child some room. If possible, remove the child from a stimulating environment or away from others for a quiet space to calm down. This is helpful as long as it is not perceived as a punishment. Teach the desired behaviour or a skill to be used next time. TIP: If the child is older, you can teach life skills about earning, goal-setting, etc. These three key steps let our children know that we (and they!) can handle their big feelings, their voices are heard, we are on their side and they have it within their power to affect change in their lives. What an amazing gift! When caring for children, prevention is always preferable. I’ve included a few ideas to get started but this list could warrant a separate article (or even a book chapter! ), as there are so many ideas and specifics to share! Create a ‘Cozy Corner’ where kids can take themselves to calm down or be alone. Teach relaxation skills such as deep breathing. TIP: Little ones are especially adept at learning yoga and meditation, as they don’t have as much ‘mental noise’ to clear as we do! When children have a chance to let out bottled up feelings, when they know we are on their side and they learn skills to use for next time, they feel safe, loved and empowered. The bonus? 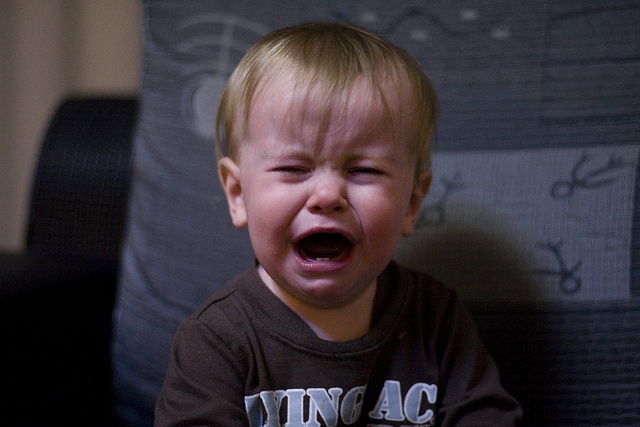 Meltdowns are shorter and less frequent. And we can all say goodbye to the misery!